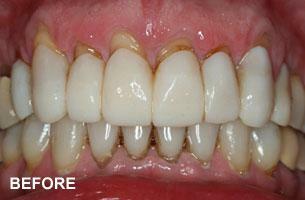 Below are case studies for Cosmetic Dentistry procedures performed by our office. 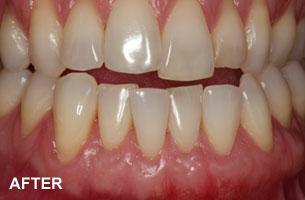 This is an example of a common scenario of a single area of recession that develops on 1 tooth. 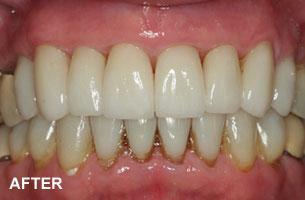 The result picture shows an excellent result that is quite predictable. 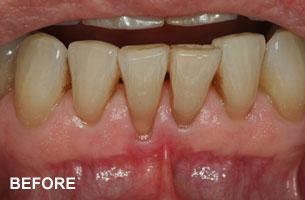 This is an example of multiple teeth that demonstrate recession. 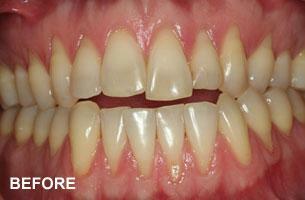 It is common in patients who have "thin gums" and have had orthodontic treatment. The final outcome is a very stable and healthy result. 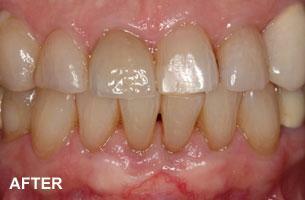 This is an example of multiple teeth with recession. 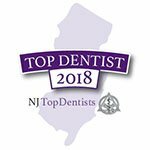 We were able to cover the recession by lowering the patient's gum line, without having to take tissue from the patient's palate.